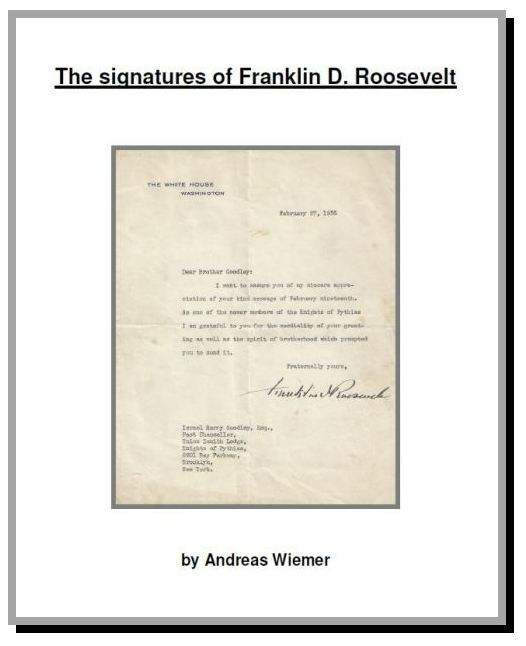 Autograph letter signed “Franklin D. Roosevelt”. 1p., 7.25 x 10.5 inch. New York City, n.d. (about 1926). 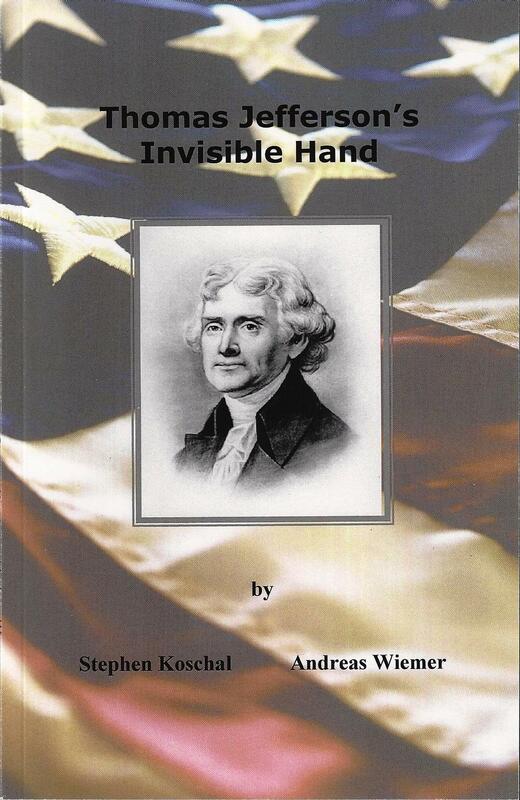 On his personal letterhead as Vice President of the "Fidelity and Deposit Company of Maryland". 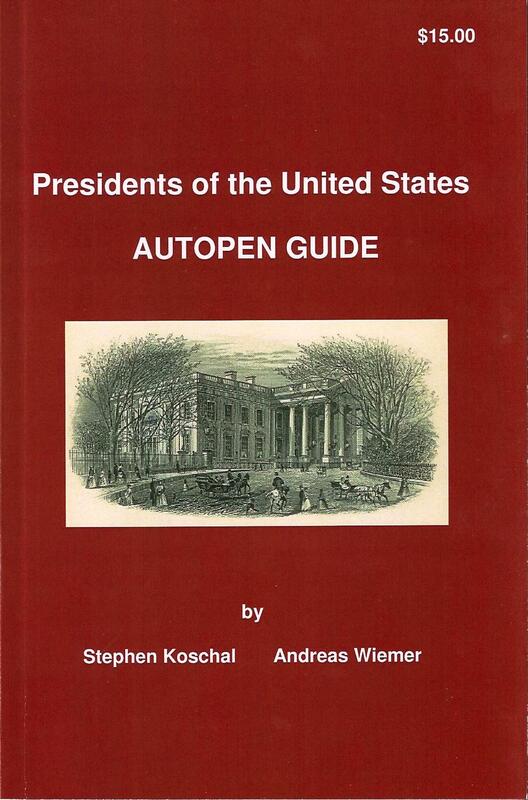 Written while on vacation, the future President asks his secretary to forward his mail. In full: “Will you please send on my mail + continue to do so every 2 or 3 days, till Aug 20th? Long to bother you - This is a wonderful spot - too delightful to open mail from, but I have to keep up!" Mailing folds., else fine condition. FDR is rare in handwritten letters. From the Estate of Malcolm S. Forbes. Signed photograph “Franklin D. Roosevelt”. 8.0 x 10.0 inch, photo by ORTHO, N.Y. Discolored, upper left and right corner with minor corner crease, else good condition. Typed letter signed “Franklin D. Roosevelt”. 1p., 8.0 x 10.5 inch, New York, 1932 February 6, “State of New York” letterhead. Governor Roosevelt writes a letter to Morris Osofsky in New York. In full: “Thank you so much for your greetings on my birthday. It was good of you to think of me.” Excellent signed in dark ink. Mailing folds, else fine condition. 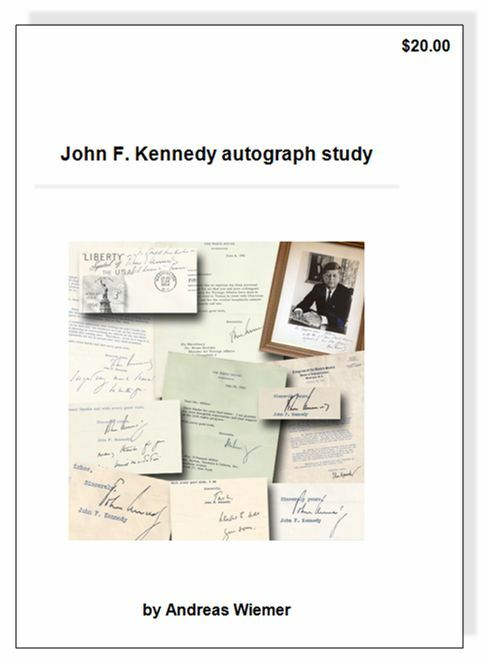 Comes with my Franklin D. Roosevelt autograph study. 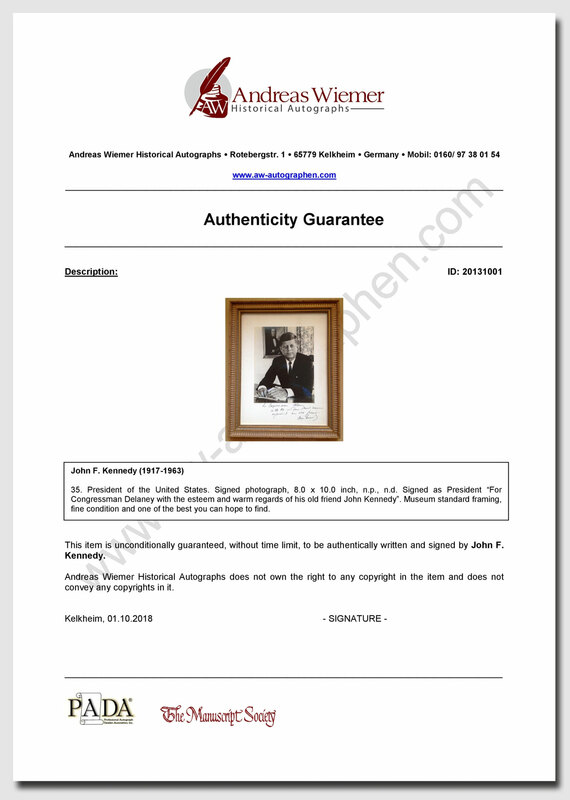 Signed card “Franklin D. Roosevelt”. State of New York Executive Mansion Albany card, 5.0 x 3.25 inch, gold embossed crest upper left corner. Signed in blue ink (rather uncommon, normally FDR used a black India ink). Mint condition and with a perfect signature.